The Israeli Occupation Authorities (IOA) scaled down the amount of water it supplies to the central West Bank city of Salfit for the second day in a row, causing severe damage to field crops. Local sources affirmed to the PIC reporter that IOA reduced the water supply by more than 50%, pushing the local municipal authorities to cut off the water to large areas in the city. The Israeli occupation forces on Friday seized an agricultural tractor from a Palestinian land in the Jordan Valley. 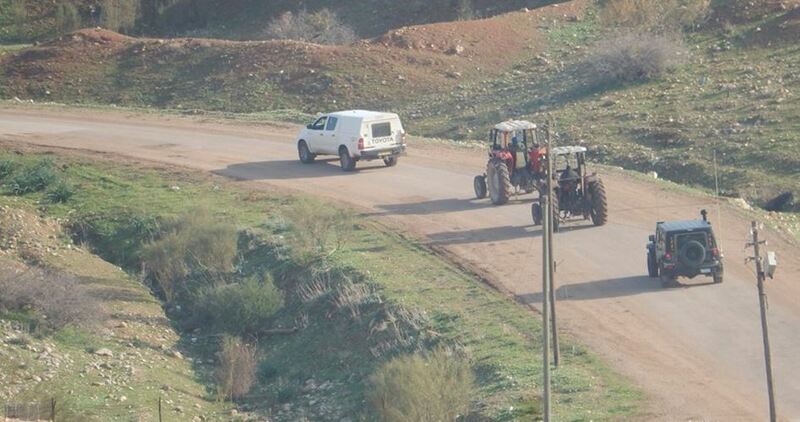 Anti-settlement activist Aref Daraghma said the Israeli soldiers stole an agricultural tractor from a Palestinian land near al-Hamra checkpoint, in the Jordan Valley. 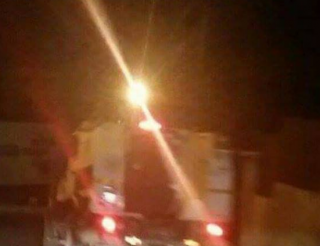 The seized tractor reportedly belongs to the Palestinian farmer Salem Ramadin. Palestinian agricultural kit in the Jordan Valley has often been misappropriated by the Israeli occupation forces as part of underway attempts to crack down on Palestinian farmers and force them out of their own lands. Palestinians setting up roots in Salfit sounded distress signals on Thursday after the Israeli occupation authorities cut water supplies pouring into the city. 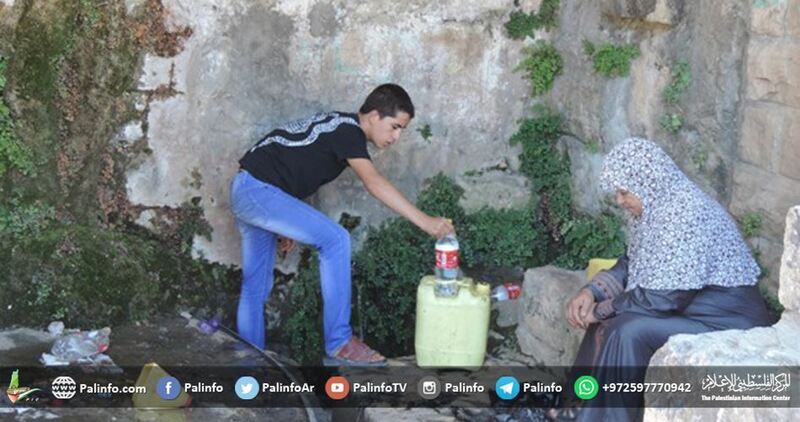 According to local sources, water supplies to Salfit have been curtailed by up to 60%, forcing the local municipality to rein in the distribution and consumption of drinking water. 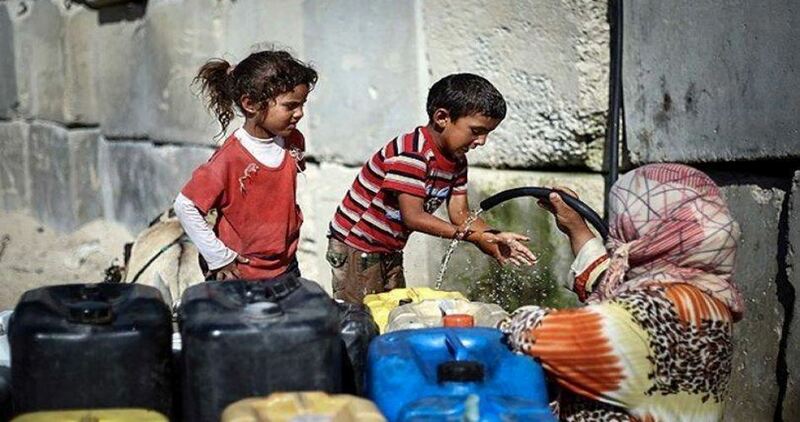 Researcher Khaled Maali said the IOA has been transferring water supplies stolen from the Palestinians to some 25 illegal settlement outposts built on Palestinian lands in Salfit. In Maali’s terms, such moves make part of Israeli attempts to tighten the noose around Palestinians’ neck in Salfit so as to force them out of the area in favor of illegal settlement expansion. 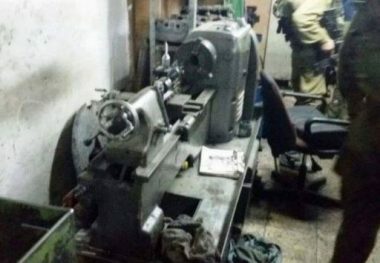 Israeli soldiers invaded, on Thursday at dawn, the town of Doha, west of the West Bank city of Bethlehem, broke into a lathe workshop and confiscated one machine. The invasion was carried out by several army jeeps, and truck, before the soldiers stormed a lathe workshop, owned by members of Abu Tarboush family, violently searched the property and confiscated a lathe machine. 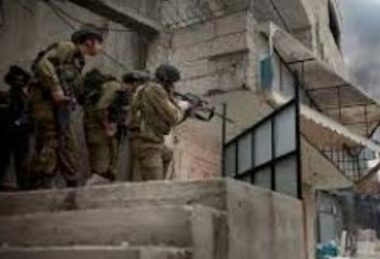 The soldiers also invaded Aida refugee camp, north of Bethlehem, searched many homes, causing damage, and withdrew later without conducting any arrests. The Israeli occupation forces on Wednesday morning stormed Khirbet al-Hima in the northern Jordan Valley and removed solar-powered devices. According to local sources, Israeli soldiers along with Civil Administration and Energy Authority staff members, broke into the area a few days earlier and subjected the Palestinian locals to exhaustive questioning. 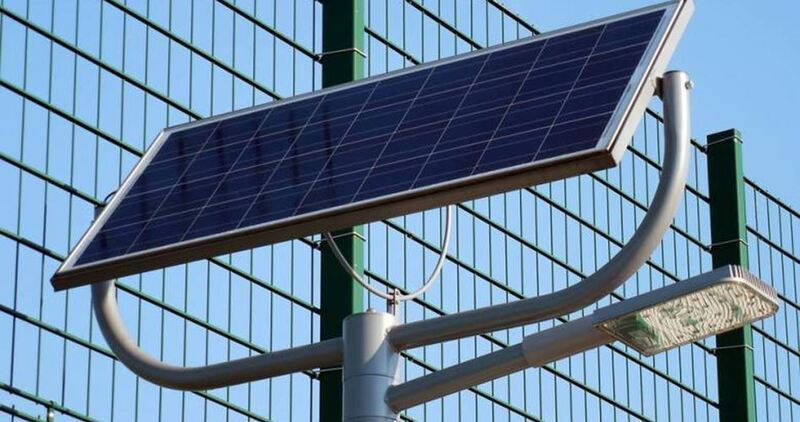 The Israeli soldiers took out solar energy cells without prior notifications. The locals said the move dovetails Israeli attempts to force them out of the area. The snatched cells are reportedly funded by European institutions as part of underway endeavors to secure much-needed power supplies for Palestinians setting up roots in the Jordan Valley. The Israeli occupation authorities have frequently held sway over Palestinian solar cells, water tanks, and agricultural kit in Khirbet al-Hima in an attempt to tighten the noose around Palestinians’ neck and grab hold of their lands in favor of illegal settlement expansion. The Egyptian authorities allowed on Monday afternoon the entry of more fuel shipments to Gaza's power plant. 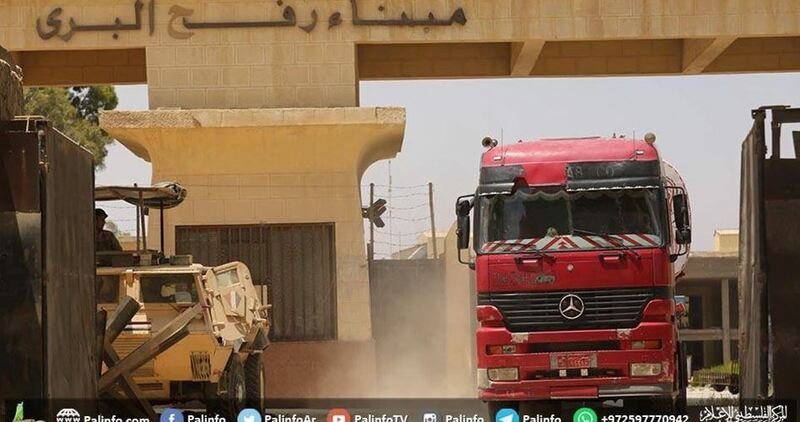 Borders and Crossings Authority in the Gaza Ministry of Interior and National Security affirmed that 13 Egyptian trucks carrying fuel are expected to arrive in Gaza by this evening. However, the Egyptian fuel supplies entering Gaza are not sufficient to make any improvement in the electricity schedules. 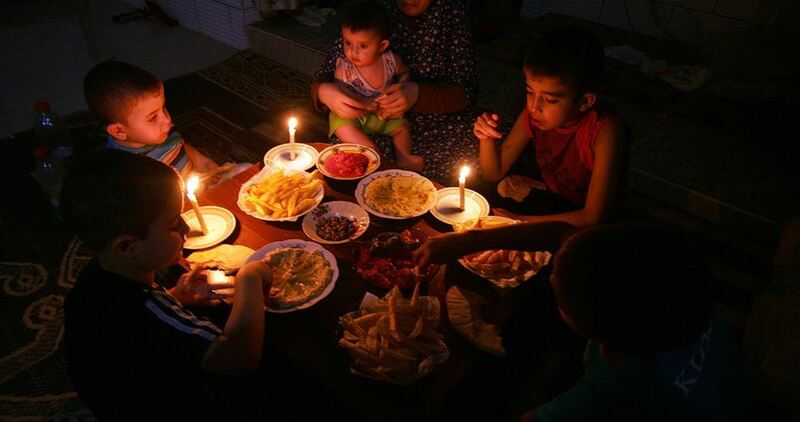 The Gazans are only provided 4 hours of electricity a day due to the breakdown of the Egyptian lines feeding the Gaza Strip provinces and the cutback imposed on the power supplied to Gaza through the Israeli lines. 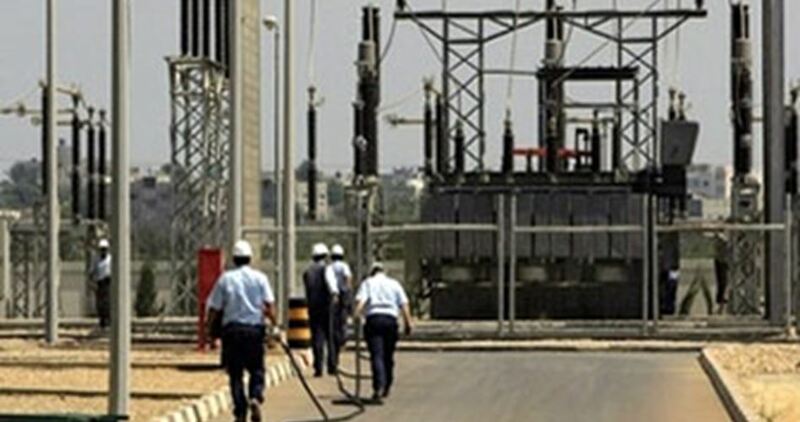 The Egyptian power lines that feed the southern Gaza Strip have been repaired on Sunday after fixing damages in a transformer station in al-Arish that caused a service cut-off for three days. Abdullah al-Najili, head of media and public relations department at Rafah electricity Distribution Company, said that Gaza Line 1 and Filistin Line were operating again with the capacity of 17 megawatts. A technical damage hit Gaza 2 Line which capacity was estimated at 10 megawatts. It is being fixed, he highlighted. Egypt supplies the besieged Gaza Strip with 27 megawatts from al-Wahshi power station in al-Arish. The conveyor power lines get usually damaged due to the ongoing security conflict in Sinai. Power Distribution Company in the blockaded Gaza Strip announced on Saturday that the third power generator in the sole Gaza power plant was functioning. 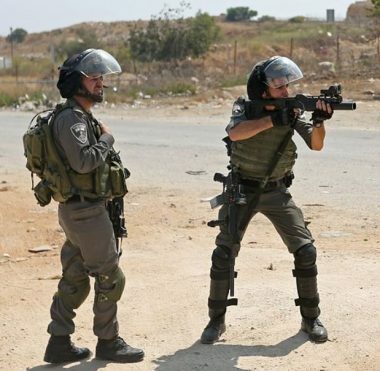 Israeli soldiers shot and injured, on Sunday evening, a Palestinian man after the army invaded al-Mogheer village, northeast of Ramallah, and fired many gas bombs and concussion grenades, causing fires in a car and three dunams of farmlands. Medical sources said one Palestinian was shot with a live Israeli bullet, before he was rushed to a hospital in Ramallah, while many residents suffered the severe effects of teargas inhalation. 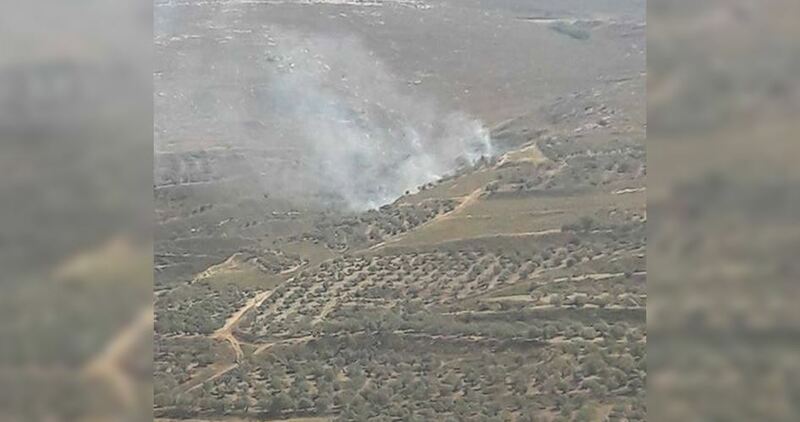 Furthermore, at least three dunams of farmland, and a car owned by a Palestinian identified as Osama Abu Alia, were burnt due to the dozens of gas bombs and concussion grenades that were fired by the invading soldiers. Three Palestinian toddlers were pronounced dead in Gaza in no more than 24 hours, after the Palestinian Authority (PA), chaired by Mahmoud Abbas, denied them urgent treatment. 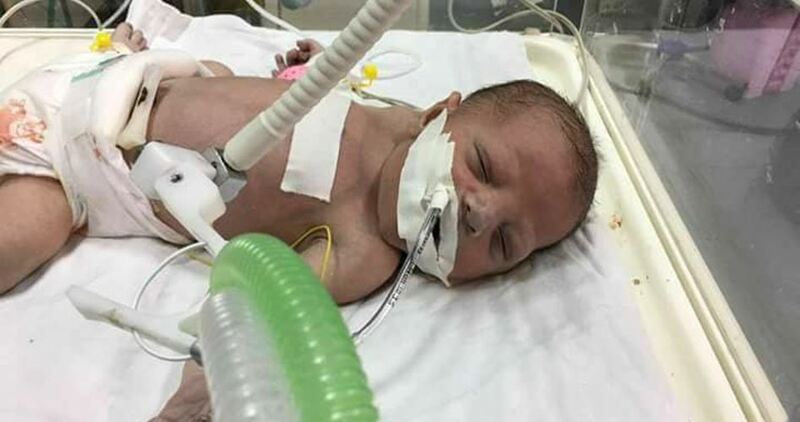 The Palestinian Health Ministry spokesperson, Ashraf al-Qudra, said nine-month-old Ibrahim Samir Tbeil breathed his last at the intensive care unit in al-Rentisi Hospital. Al-Qudra warned that 3,000 to 4,000 babies in Gaza are in need of urgent treatment outside the besieged coastal enclave. A few hours earlier, a toddler with cardiovascular disorders was pronounced dead at al-Shifa Medical Center in Gaza after he was prevented by the PA from receiving treatment outside Gaza. The baby was identified as Baraa Ghaban. Sometime earlier, al-Qudra warned that the toddler was on the verge of death due to a severe heart disease. He was pronounced dead three hours later. On Monday afternoon, a third baby—Mus’ab Bilal al-Areir— died in the coastal enclave. Al-Qudra and human rights activists held the PA and the Israeli occupation accountable for the death of the three Gazan toddlers, warning that more deaths might be recorded in the next few hours if urgent steps are not taken. Head of the nursery department at al-Shifa hospital in Gaza, Abu Hamda, appealed to all human rights organizations and medical institutions to take urgent action and work on saving Gaza’s newborns before it is too late. Abu Hamda said other babies have been diagnosed with deadly symptoms and risk to die at any possible moment if they do not receive urgent treatment somewhere outside of Gaza’s underequipped hospitals. According to the Palestinian Health Ministry, the reluctance maintained by the PA claimed the lives of nine patients, among whom three babies, since the start of 2017. The Petroleum Authority in the Gaza Strip said the Egyptian authorities allowed the entry of 700,000 liters of local diesel on Friday to the besieged territory to be used by the commercial sector. In press remarks to the Palestinian Information Center (PIC), head of the authority Khalil Shafqa stated that importing diesel supplies from Egypt to Gaza took place following recent understanding with officials in Cairo. Shafqa affirmed that the understandings included supplying Gaza with diesel for its power plant and commercial sector. Truckloads of 1,200,000 liters of diesel had already arrived in Gaza over the past two days for the power plant, according to the Palestinian official. The Egyptian industrial fuel is cheaper than the Israeli one, and this would have positive impacts on consumers and the domestic market in Gaza. 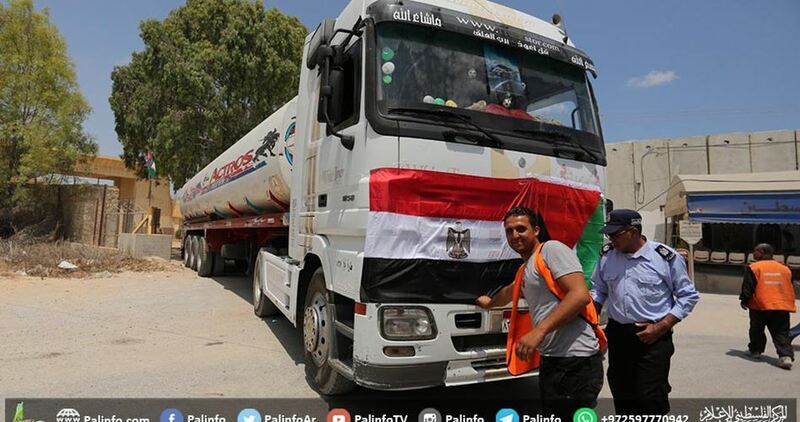 These fuel shipments have been paid for by the competent authorities in Gaza. The Israeli occupation authorities reduced on Thursday their electricity feed to the blockaded Gaza Strip, a few days after it had opted for a similar measure. Power supplies from Beit Lahiya and Jabalia lines, along with supplies from line 7 and line 9 have been reduced. As a result Gaza receives no more than eight megawatts from every line, down from 12 megawatts. In total, the cutback is estimated at 48 megawatts, out of 120 megawatts provided by the ten Israeli power lines to Gaza. The cutback is expected to shorten the daily power supplies that Gaza’s two million residents receive from an electricity grid dependent on Israeli supplies. The Palestinian Energy Authority warned of the tragic fallouts of the measure and held the Israeli occupation authorities and the other concerned parties accountable for the repercussions of the cutback. Over recent days, an Israeli cutback has begun in line with the Ramallah-based Palestinian Authority's government decision to reduce its contribution to the monthly cost of Israeli electricity supplies to the coastal enclave.